Pakistan Cyber Force: Putin Orders Russian Army to Wartime Bunkers, Warns "Global War is Near"
Putin Orders Russian Army to Wartime Bunkers, Warns "Global War is Near"
A truly grim Russian Ministry of Defense (MoD) report circulating in the Kremlin states that President Putin has ordered over 2,000 top military officers to immediately begin duties at the National Defense Control Center (NDCC) which is, in fact, Russia’s “wartime government” headquarters in Moscow as “global war nears”. According to this report, Putin’s order came immediately after his meeting with Turkish President Recep Tayyip Erdogan in Ankara earlier today wherein an agreement was reached to increase Russian energy supplies to Turkey in exchange for that NATO member’s pledge of neutrality in any future Ukrainian conflict. Important to note, this report says, is that the crisis in the key transit nation of Ukraine has imperiled Russian gas supplies to Turkey as winter fast approaches, but which this agreement will allow to be alleviated. As we had previously reported on too, MoD reports from earlier last month appear to show that it is in preparations for a blitzkrieg attack upon the eastern regions of Ukraine, and which would secure those pipelines vital for Turkey’s energy security. 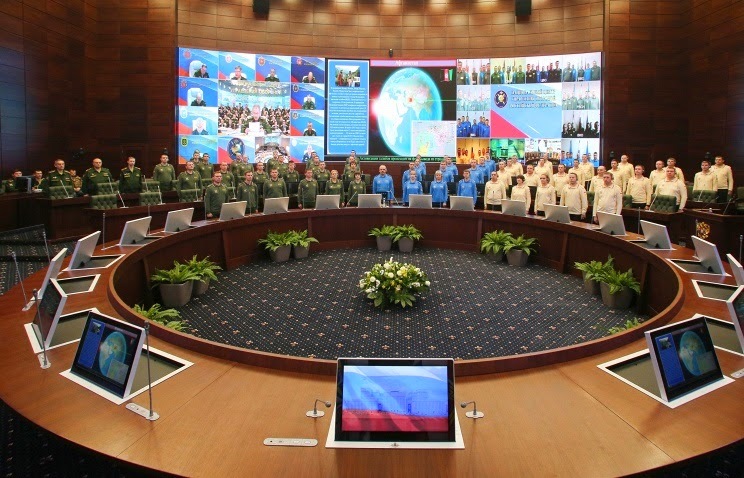 Even more ominously, with the NDCC being put on combat duty today, this new wartime control center, ordered built by Putin on 8 May 2013, is also the new headquarters for the Control Center of Strategic Nuclear Forces which oversees issues of use of weapons of mass destruction, and when combined with the 5,000 additional bomb shelters he ordered built in Moscow completed in 2012, appears to show Russia is preparing for all-out war. “The US-Saudi oil price manipulation is aimed at destabilizing several strong opponents of US globalist policies. Targets include Iran and Syria, both allies of Russia in opposing a US sole Superpower. 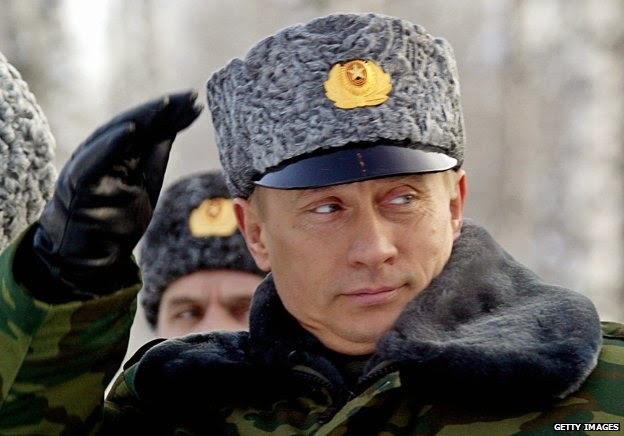 The principal target, however, is Putin’s Russia, the single greatest threat today to that Superpower hegemony. The strategy is similar to what the US did with Saudi Arabia in 1986 when they flooded the world with Saudi oil, collapsing the price to below $10 a barrel and destroying the economy of then-Soviet ally, Saddam Hussein in Iraq and, ultimately, of the Soviet economy, paving the way for the fall of the Soviet Union. Today, the hope is that a collapse of Russian oil revenues, combined with select pin-prick sanctions designed by the US Treasury’s Office of Terrorism and Financial Intelligence will dramatically weaken Putin’s enormous domestic support and create conditions for his ultimate overthrow. It is doomed to fail for many reasons, not the least, because Putin’s Russia has taken major strategic steps together with China and other nations to lessen its dependence on the West. In fact the oil weapon is accelerating recent Russian moves to focus its economic power on national interests and lessen dependence on the Dollar system. Now for the "threat" of nuclear war in Europe - bogus or otherwise. It's pointless to compare the strategic nuclear capabilities of the US and Russia based on numbers, but not on quality. Take the compounded GDP of US, Germany, France and the UK and compare it to Russia; it's a victory by landslide. 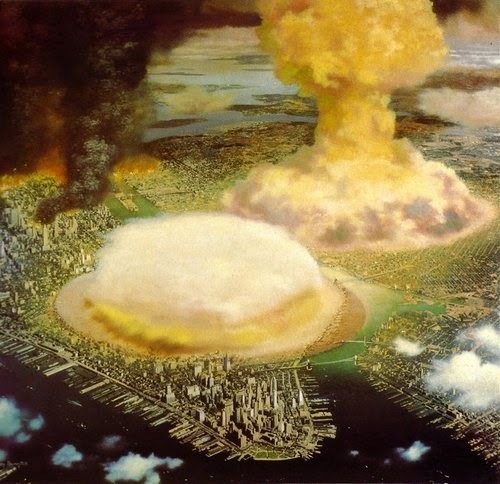 Then examine the strategic nuclear scenario, and it's a totally different story. GDP alone does not "win" anything. The S-400 and S-500 double trouble. Moscow has agreed to sell the S-400 surface-to-air missile system to China. The bottom line is this will make Beijing impermeable to US air power, ICBMs and cruise missiles. Russia, for its part, is already focusing on the state-of-the-art S-500 - which essentially makes the Patriot anti-missile system look like a V-2 from World War II. 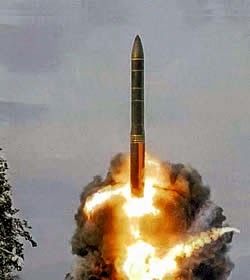 The Russian Iskander missile travels at Mach 7 - with a range of 400 kilometers, carrying a 700 kilogram warhead of several varieties, and with a circular error probability of around five meters. Translation: an ultimate lethal weapon against airfields or logistic infrastructure. The Iskander can reach targets deep inside Europe. And then there's the Sukhoi T-50 PAK FA. Talk about a real near-future game-changer. If the American people are even aware of the catastrophic global war the Obama regime is attempting to launch there remains no evidence, but is really no surprise since even before the illegal Iraq war started by President Bush was exposed by British intelligence agent Katharine Gun in 2003, the US mainstream media still refuses to tell their people the truth.